If i am married 10 yrs can i draw on my 2nd husbands social security? My mother passed away how do I stop her benefits? 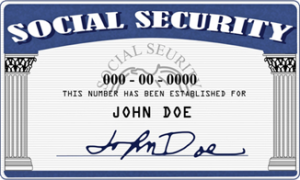 1517.1 What is the time limit for applying for the lump-sum social security death payment? If you are eligible for the lump-sum death payment, you must file the application within a two-year period. Note: If you are the widow(er) of the deceased worker and you were entitled to spouse’s benefits for the month before the month that the worker died, you do not need to file an application for the lump-sum. 1517.2 When does the two-year filing period end? Normally, the two-year filing period ends with the second anniversary of the insured person’s death. However, under the conditions set out in the following sections, the filing period may be extended. Also, there are conditions for extending the filing period for members of the U.S. Armed Forces. Note: If the last day of the filing period is a Saturday, Sunday, legal holiday, or other non-work day for Federal employees set by statute or Executive Order, the application may be filed on the next work day.